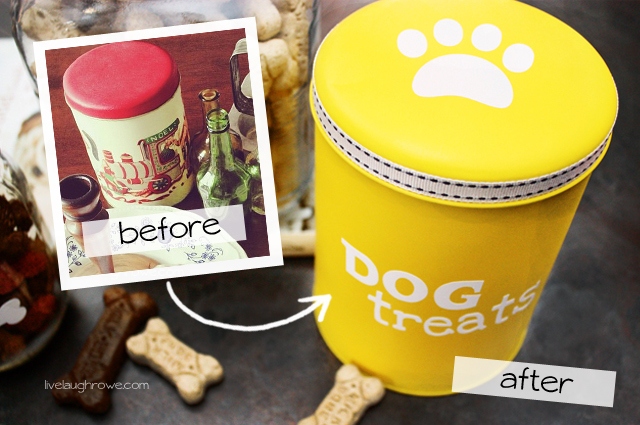 Take an every day jar or make over an old tin for some stylish dog treat canisters that are sure to make your furry friends howl! 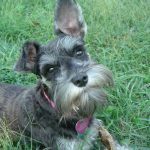 For all of you dog owners and dog lovers out there, this post is for you! 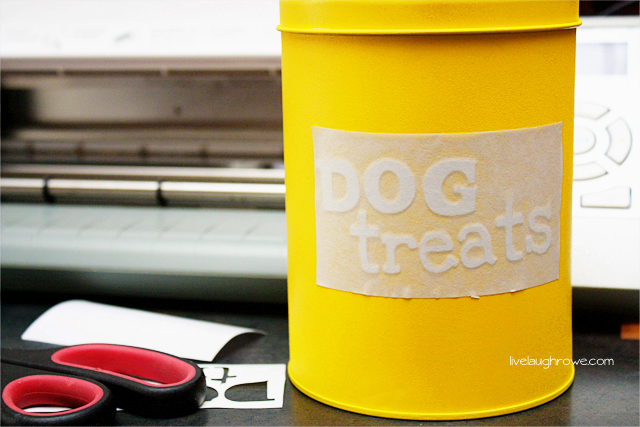 In an HGTV magazine a month or two ago, they showed an illustrated dog treat container that inspired me to pull out my handy dandy Silhouette Cameo and make one myself. Then I decided to create a few different options to share with all of you! This diy project can be super inexpensive — and if you don’t have a Silhouette, simply print of stencil or vinyl and cut! 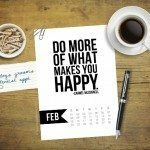 Let’s take a look at the three options I want to share with you today. I love mason jars and thought, why not throw a couple of vinyl bones on there. It turned out great and adds a little fun to the pantry or counter space. I used a bone template and sized it at 1.575″ x 1.880″. 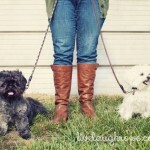 This would make a great gift idea for your neighbors pooches! You can pick these up at your local Walmart for $4-5. You’ll find them with silver lids. I purchased this one at the Container Store during the holidays last year, scoring the ever-so-cute red lid. For this one I simply cut out the letter bow-wow using black vinyl, using the font Pea Tinapay sized at 126.9 pt. 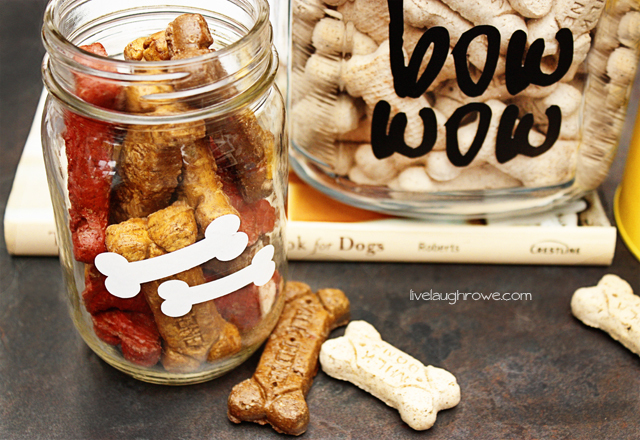 Fill it up with Milkbones or make some homemade Pumpkin Peanut Butter Dog Treats. 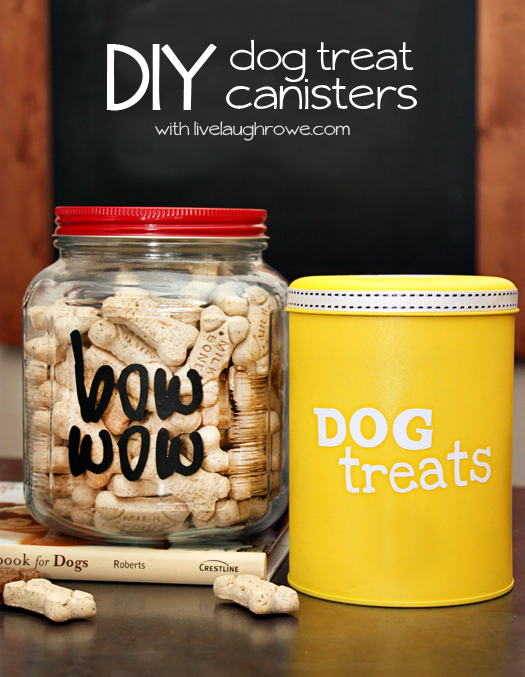 You now have a fabulous (and larger) dog treat container for under $10. This one was inspired by Tidy Mom. She made a pet food canister up-cycling a popcorn tin. I picked up an old (smaller) tin at the thrift sore and thought I would use it for dog treats. After a quick coat of yellow spray paint, I used my Silhouette to cut out the words (and paw print) in white vinyl. The word dog is a font called vintage, set at 75.0 pt. The word treats I used the font love ya like a sister at 55.0 pt. The paw print is sized at 2″ in width. Add a little ribbon — and voila! Woof Woof! When my mom was visiting this past summer, she said, “give me one of those for Christmas!” They make great gifts for family and friends with dogs… and you might score an extra bark or two for bringing them some goodies for the pooches. 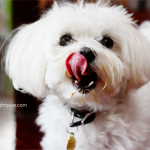 So cute, think our pooch would love to get his treat every day from a jar made specially for him. The containers are great and would sure add something to a pantry or counter top. He;s so worth it, he’s such an exceptional dog, we’d be pretty bored without our sweet dog and cat. Happy Thanksgiving Kelly to you and yours. Can get jars (like one with red lid) at Hobby Lobby for 40% off with coupon( or bigger Ball jars).Can always spray paint the lid whatever color you want. HL has a great supply of different looking jars. I bought some for our bathroom and put some vintage crystal knobs on top of lids. It’s amazing what that little crystal knob does. The knobs were from an out of the way little antique store in KY.
Our dogs are definitely a big part of our families, aren’t they? I bet he would love his own treat jar…maybe for Christmas? 🙂 HUGS. Jackson would love to have treats out of any of these jars. On second thought, he’d just love to have treats. Haha! I know, a treat is always welcome from my boys — regardless of where it comes from. However, I laugh that they now know the sound of the lid on the treat jar. They’re so smart. Have a great day, friend. HUGS! Love this idea! 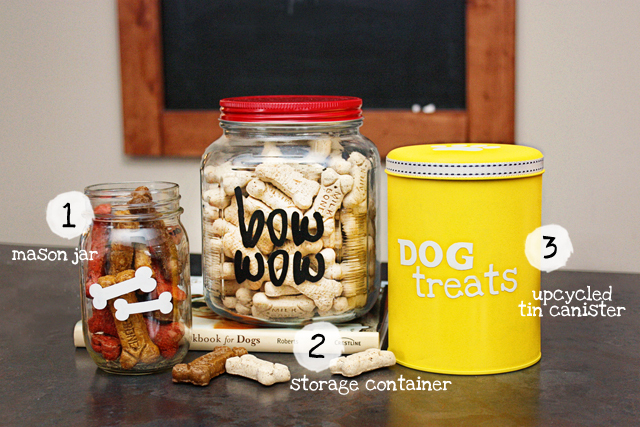 Looks great and it’s an awesome way to keep treats organized!